Instant Payment only works if all systems involved are really fast and truly operate fail safe. Therefore, the requirements for failover and scalability are already an integral part of the standard. With the SCT Inst optimized version of our EBICS engine, the BL Real-Time Server also fulfills all requirements for performance and availability in addition to the proven processing capability. 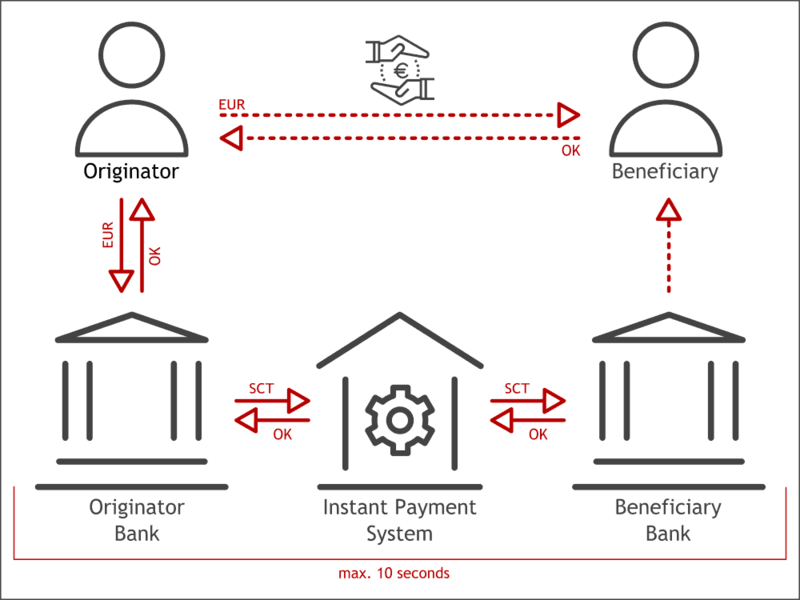 Instant Payment, Clearing, and Corporate Banking: The single solution for all SEPA countries. 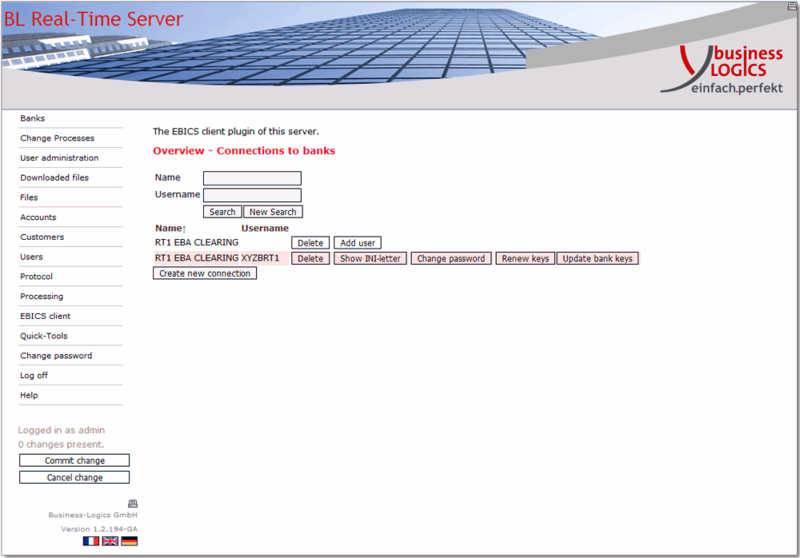 Thanks to the implementation of all EBICS standards, the availability of national and international payment formats, plus the seamles integration of the EBICS client, the server system meets all current and future requirements of financial institutions and service providers in whole Europe. 365 days a year 24 hours online? No problem with the proper system architecture! Failure safety is ensured in particular by redundancy. Our real-time server is fully cluster-capable and can be installed on any number of nodes. Each instance is completely self-sustaining. More redundancy is not possible. True clustering systems have a further advantage besides failover: Scaling has never been easier. The standard requirements for the performance of most credit institutions are already covered by a single server instance. The compulsory second installation for failure safety thus provides sufficient reserves — even in extreme load situations. For Instant Payment, many parts have to interlock smoothly. One more reason why the EBICS real-time interface should not complicate the system unnecessarily. Both installation and operation benefit from the simple and robust architecture of the BL Real-Time Server. Thus, the nodes provide for the adjustment of all relevant information via standard interface and synchronize themselves independently with the master database after booting. The decision for the right system needs to be well considered. Besides to the purely technical aspects, the future viability of the product as well as the reliability of the supplier are decisive above all. The system provides full support for the EPC SCT Inst scheme via EBICS, in particular for connecting to RT1, the pan-European platform of EBA CLEARING. Continuous development and ongoing adjustment to new versions of the standards. All updates are available to our customers free of charge as part of the software maintenance. The license of the BL Real-Time Server includes the installation on any number of servers. All systems are created at our location in Hilden, Germany. And here is also our professional support team. For our customers, this means: everything from one source — efficient and uncomplicated. We gladly answer your questions on the subject of Instant Payment via EBICS. You would like to get an idea of the performance and easy integration of the BL Real-Time Server for yourself? Then make use of our offer for a free-of-charge test installation. You can reach us by phone on +49 2103 33993‑30 or by email at .